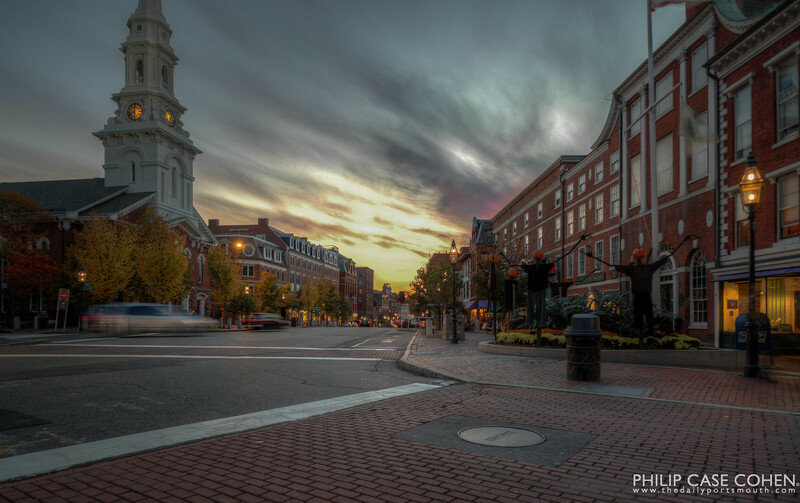 Halloween is a big deal in Portsmouth. 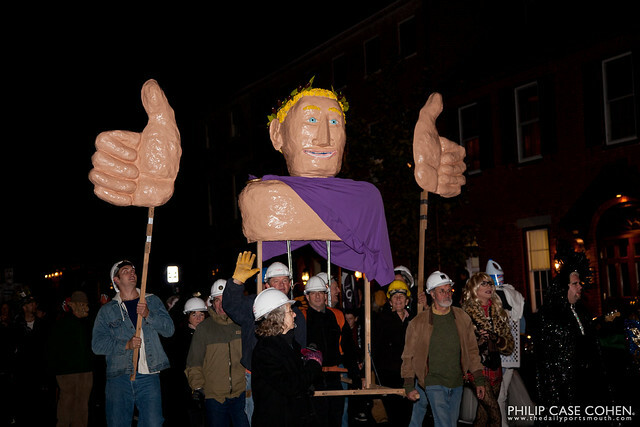 Each year, hundreds of people gather to don their favorite costume, create giant creatures, and walk through the streets of Portsmouth in the name of fun and festivities. 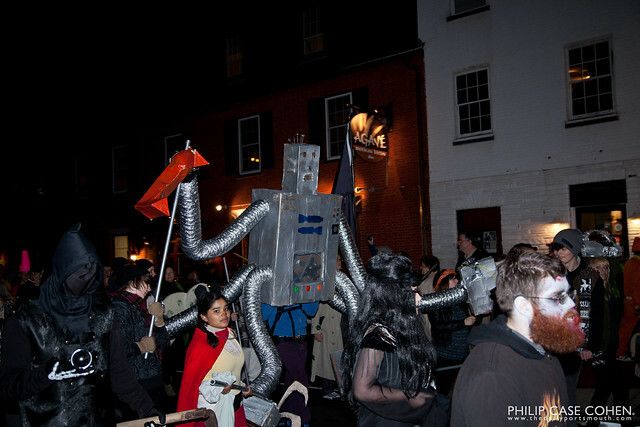 The Portsmouth Halloween Parade made its way from Peirce Island, weaving through town, and finishing in Prescott Park under a foggy crescent moon sky. 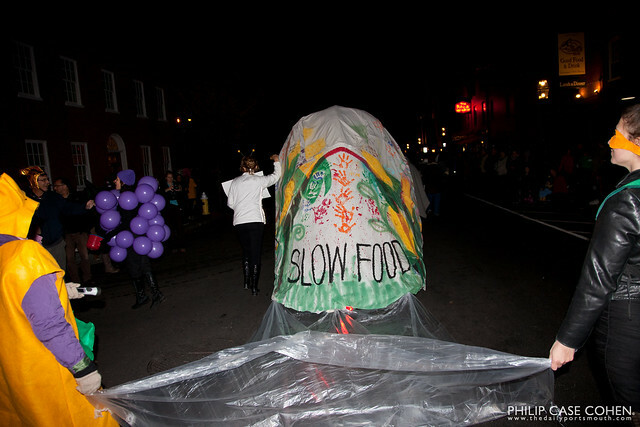 A few of my favorites from the evening are shared here – all collaborative efforts with big impact from up the street. Happy Halloween to all! 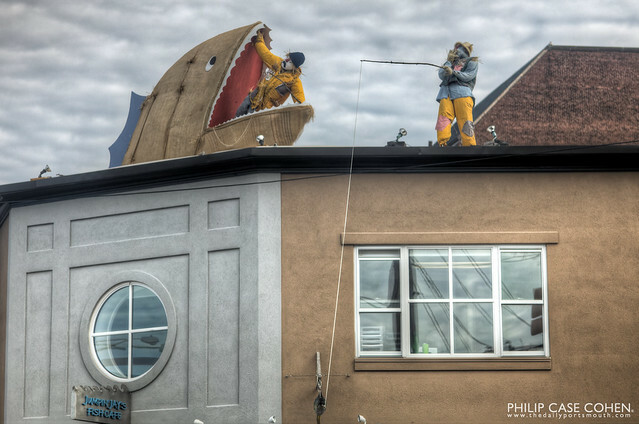 Today we’re featuring my favorite Scarecrow of the Port situated atop Jumpin’ Jay’s Fish Cafe (one of my favorite spots in Portsmouth for a great meal). 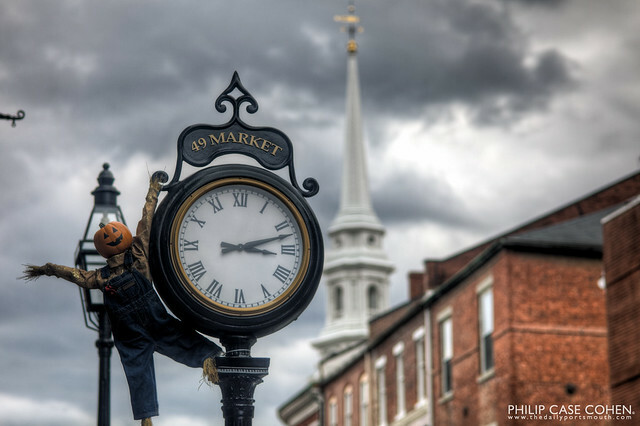 Each year businesses around the city are invited to get creative and put up a scarecrow in October to get a bit festive once the fall has rolled around. I thought this one was great…sitting at the light at Middle/Congress Street last month it caught my eye…it took me a while to realize it was probably for Halloween. I love how the dude is fishing and caught Jumpin’ Jay’s fish sign…while his buddy is getting chomped by a monster fish. On a more somber note, I thought I’d share with everyone a video I quickly put together recently after learning my Grandmother’s beloved family home in Connecticut would be sold. I shot this footage earlier this year during June while my family was all gathered in West Hartford. It’s a bit eerie and appropriately spooky for a Halloween post. Shot on my Canon 5d Mark II and a few wide angle lenses. I hope you enjoy.